Kentucky will host Donatie Allen and Kira Lewis Jr. this weekend for unofficial visits and all eyes are on one thing: will either player receive an offer from the Cats? Allen is the Kentuckian that UK fans have been wanting on the roster and Lewis Jr. is an up-and-coming recruit that has blown up this spring. Allen holds offers from Xavier, West Virginia, Purdue, WKU and several smaller schools. Lewis also has dozens of offers but notably Alabama, Kansas, Indiana, Louisville and Oregon. Here’s a little more about both players. Six months ago many would have thought Kyky Tandy would have been the top in-state UK target, but the Cats prefer the versatile Allen. He averaged 31.8 points last year as a junior. 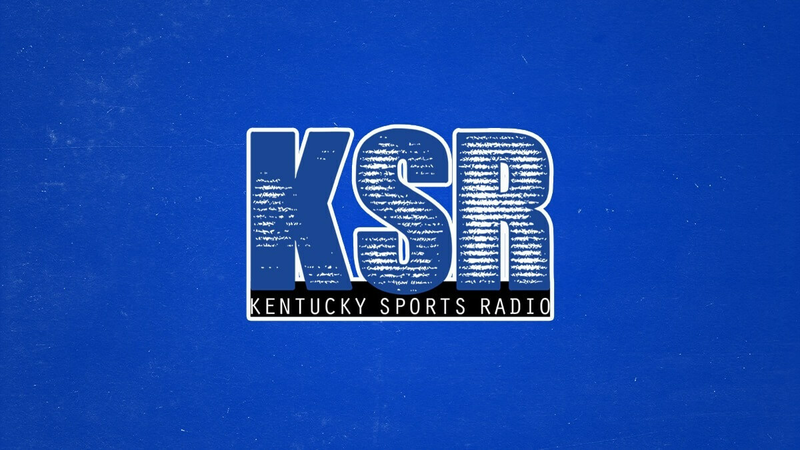 Despite Xavier leading Allen’s Crystal Ball predictions, sources tell Kentucky Sports Radio that Western Kentucky is actually in the driver’s seat in Allen’s recruitment. That’s not to say it’s a done deal. An offer from Kentucky could change everything for Allen. UK may have a logjam at the guard position for the 2019-2020 season, but with Allen being a wing the Cats could be more aggressive in his recruitment. Keldon Johnson will almost certainly be a one-and-done player and the only wing UK has offered in 2019 is Keion Brooks. Allen wants to go to a place where he will have a chance to make an impact right away, but it’s likely he’s not a one-and-done. If UK were able to land Brooks, Allen would be a nice compliment and the Cats would have two great scorers on the wing. Lewis Jr. is one of the fastest players in the class of 2019 and has shown to be a capable and efficient scorer, too. Lewis Jr. will likely have to choose between blueblood powers or the home state Crimson Tide, but Lewis Jr. has said that he grew up a Kentucky fan. We also heard that from John Petty. If UK is going to be a major player for Lewis Jr. the Cats would need to offer relatively soon before falling too far behind the other schools. UK’s staff will have to decide if they feel comfortable where they stand with Cole Anthony, Jalen Lecque, Scottie Lewis and Bryant Antione. Those four guards are already major UK targets and the Cats have Tyrese Maxey on board. With Tyler Herro, Immanuel Quickley, Jemarl Baker and Quade Green possibly coming back for 2019-2020, UK will have to be careful with scholarships and offers. Lewis Jr. is slightly smaller but plays like a prototypical Calipari guard. He’s quick, good defensively, and athletic. Prediction: I don’t expect either player to land an offer this weekend, but you never know. My guess is Kentucky will continue to evaluate each player. If Lewis Jr. isn’t offered by August there’s a decent chance UK looks at other guard targets. There is a scenario the Cats could wait until the fall to offer Allen, but Allen is coveted by several great programs. Or maybe UK will offer one of them tomorrow. Who knows? I would love to see Allen at UK, but he would need to come in humble and willing to sit on the bench a lot early on. He’s only a 3 Star, right? So maybe he’s not expecting tons of minutes immediately. Regardless I’ll follow his career. Good luck on the decision.